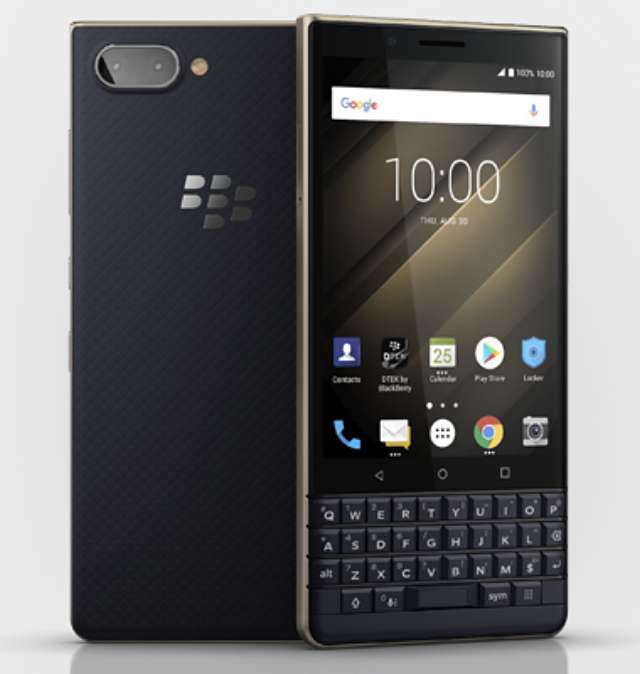 BlackBerry in late August launched the Key2 LE, a lite variant of its Key2 smartphone in some markets, including the U.S, Canada, and the U.K. Today, the firm has introduced the smartphone in India. The Key2 LE has all the bells and whistles of the Key2 in the software aspect, but that cannot be said about its hardware and outer design. The stylish physical QWERTY keyboard is still on deck with a fingerprint sensor hidden underneath the space bar, but it has lost the all-metal frame for a plastic one. The display properties is pretty the same, but this is powered by a Snapdragon 636 chipset coupled with 4GB of RAM. The inbuilt storage is 64GB, and it can be expanded up to 2TB via a MicroSD card. Sitting at the back is 13MP+5MP dual camera (the Key2 has 12MP+12MP dual camera), while an 8MP camera is equipped at the front. Android 8.1 Oreo runs the software, while a customizable physical button called "Speed Key" is at the side of the phone for quick access to apps and certain functions. The whole system relied on a 3000mAh battery for power. The Key2 LE is Amazon India exclusive. It will be available from October 12th at a price of Rs 29,990 (US$420).